This year at the Consumer Electronics Show in Las Vegas, NETGEAR are showcasing their latest line of Travel Routers and Range Extenders, including 802.11ac WiFi Range Entenders and associated Android Apps to find the best location for these routers. We were sent the press releases ahead of time to show what NETGEAR are up to. The N300 is a portable device designed to extend any WiFi or LAN for local or private use, for example in hotels when on the road to create a separate private and firewalled hotspot. 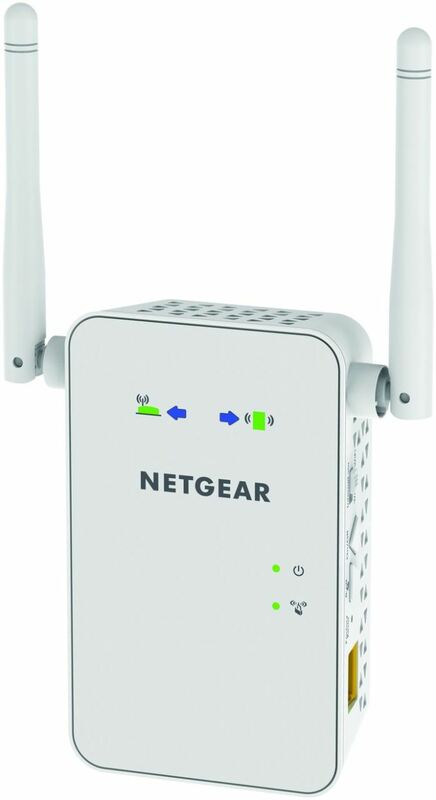 It takes power either from the mains or USB, offers standard NETGEAR router firewall functions, and offers an extension antenna when required. 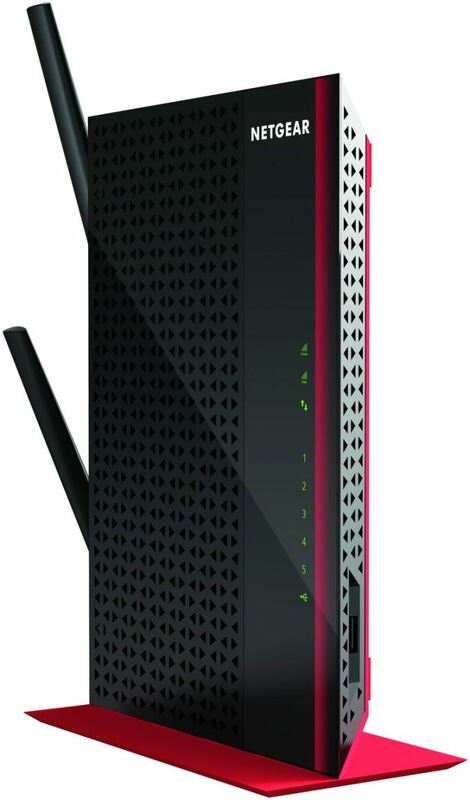 As the name N300 suggests, it offers 802.11n with up to 300 Mbps (presumably 2.4 GHz 2T2R) output. The Trek N300 thus also acts as a small home WiFi range extender, or suitable for offices that need a private network while inside their main company network. NETGEAR also have the usage scenario of providing better WiFi connections to devices such as televisions that might rely on slower standards (connect to TV via Ethernet and to home network via WiFi – use USB Power from TV). The Trek N300 (SKU: PR2000) will be available in Q1 at an MSRP of $50. The listed dimensions and weight are 3.39 x 3.31 x 1.30 inches and 0.355 lb (161g). Billed as the first wall-plug 802.11AC WiFi Range Extender, the EX6100 uses dual band concurrency (2.4 GHz + 5 GHz) to supply b/g/n and AC devices with up to 300+433 Mbps WiFi capabilities. The device itself uses onboard LEDs to direct a user to best placement in the home for range extension, along with two external antenna to improve performance. In Access Point Mode, the EX6100 will create a new WiFi hotspot when connected to wired internet, and comes with a WiFi Analytics app in order to test which WiFi channels are best suited for the new hotspot or extension. The EX6100 should come on the market during January at an MSRP of $90. The EX6200 goes further than the E6100 by being a fully-fledged dual core range extender for the home and office. It combines both a 5-port gigabit router and a 300+900 Mbps 802.11ac extender in the same device, using 5 dBi external (removable) antennas and 10 power amplifiers for 700 mW total WiFi output power. Beamforming is coming into force with 802.11ac enabled devices, and the EX6200 uses this feature set to improve reliability, especially at long range. When in WiFi bridge mode, this keeps the singular connection to the main router b and consistent for gaming and streaming. The WiFi Analytics app is also available to help place the EX6200. The EX6200 is scheduled to arrive in Q1 at an MSRP of $130. Out of curiousity , is netgear considered a solid brand? I am no networking expert but I tend to always test a brand out with some cheaper stuff first before I buy their more expensive routers ,NAS,... , and even then always just for home setups. So i was quiet shocked after buying 2 cheap netgear switches that on one of them the RJ45 sockets were so far of the standard that they were unsuable , 3 way to wide and one to narrow. The other one would run cooler if i put in a 180C degree oven. Or am i just a bit to naive to think that low end gear can be a test for companies quality control on their higher end systems and not some rebranded mass ordered stuff?